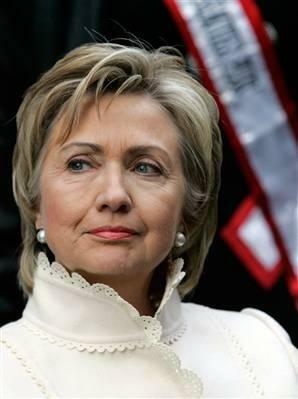 On her very first day as the new Secretary of State, Hillary Clinton called on the Prime Minister of Pakistan Asif Ali Zardari to advise him and the Pakistani government that the Obama administration has designated former US ambassador to the UN, Richard Holbrooke as a special envoy for Afghanistan and Pakistan. A senior diplomat at the State department stated that it was a touch-base meeting between Clinton and Zardari but she also wanted to advise him that Pakistan would continue to be a crucial ally to the US and also a partner in fighting extremists in the region. It is noted that back in the 80’s the United States had appointed a similar envoy during the Afghan-Russian war and the individual had been instrumental in helping the Afghan resistance groups comprised of the mujhaideens fighters successful in repelling the Soviets with US and Pakistani backed assistance. The US government terminated the special envoy position after the end of the war and the pullout of the Soviets but the incoming Obama administration is keen on reestablishing the important position. 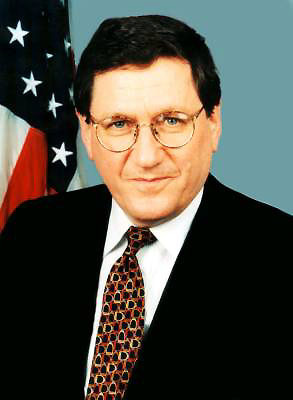 Richard Holbrooke is seen as a very capable career diplomat very familiar with the two countries from his time as the American ambassador for the UN. He was also nominated 7 times for the Nobel Peace prize and is also the only person to have held the assistant secretary of state for two different regions of the world. He also was instrumental in brokering the peace agreement among the Bosnian warring factions that led to the Dayton Peace Accord in 1995. During Bill Clinton he was considered heavily for the Secretary of State position before eventually losing out to Madeline Albright as the head person in charge at the State department. More recently he also served as a senior advisor for Hillary Clinton’s campaign for President and is seen as a close confidant of the former first lady. President Obama and Secretary Clinton have stated that the Afghanistan and Pakistan border and the situation in the two couuntries will be one of their top foreign policy concerns. The appointment of such an experience and powerful diplomat underscores this commitment by the new administration. Pakistanis for Peace believes that the appointment of Richard Holbrooke as the special envoy to the region is a welcome sign to a region that will be a critial focus for the US and for this new president. An accomplished and well experienced diplomat such as Mr. Holbrooke will ensure that when he talks, Kabul and Islamabad are aware that it is essentially Secretary Clinton or President Obama himself that they are conversing with and this direct link back to Washington will enable the two countries to fight the militants better. There is not just change afoot in Washington DC, the appointment of Richard Holbrook signals the arrival of a more robust and engaging US policy towards Afghanistan and Pakistan. -Reporting by Manzer Munir for www.pakistanisforpeace.com . The US government today acknowledged that Pakistan has began shifting troops from Afghanistan border on its west to the east and the long border with India due to heightened tensions between the two countries following the Mumbai blasts of last month. There are confirmed reports inside Pakistan of the elevated national security concerns within Pakistan as well as sightings of Pakistan Air Force (PAF) jets seen patroling the border over Lahore Pakistan using US made F-16’s. US commanders in Afghanistan are worried that Pakistani troops going to the Indian border will leave them undermanned in helping fight the insurgency within Afghanistan. As a Pakistani American with family and friends in both India and Pakistan, I am very concerned. Not only because they have nuclear weapons aimed at each other and share a huge border! But also because it is against our vital interests in the US to see south Asia explode and much of East and West Asia as well as parts of Europe affected by a nuclear holucast caused by an all out war between the two nations. Furthermore, we need Pakistan to continue to help our American troops and personnel in Afghanistan fighting the Taliban and Bin Laden’s boys and do not need the Pakistanis to lose their focus on the war in Afghanistan against the terrorists on Pakistan’s west border with Afghanistan. So, India to the east sharing a huge border and Afghanistan to the west with another war going on over there, it is too much even for one of the largest armies in the world (Pakistan) to deal with considering how easily India could win a war with Pakistan. It would obviously come at a very very steep price and God Willing incoming president Obama and secretary of state Hillary Clinton will be up to the job of diffusing the most dangerous situation in the world when it comes to Pakistan and India. Please check back often for near daily updates on the situation from a grassroots level as we at Pakistanis for Peace have friends on the ground in both countries monitoring the situation. Website Pakistanisforpeace.com launching soon where this blog will be integrated. Until then, please continue to visit us here at wordpress. Also, join us on Facebook under groups: Pakistanis for Peace. Thanks and lets pray for peace on Earth or at least in some very dangerous places! Ameen. Thanks for visiting. And remember the next time someone asks you how come Muslims or Pakistanis don’t do enough speak up against terrorism and violence perperterated by Mulsims or Pakistanis, please tell them that there are groups and individuals out there such as http://www.Pakistanisforpeace.com and together with your help they will be as vigilant about peace as the terrorists are about terror. Pakistanis for Peace because Pakistan is for Peace.